Promo code already applied. Offer good through January 31, 2019, ORDER TODAY! Promo code already applied. Offer good through March, ORDER TODAY! 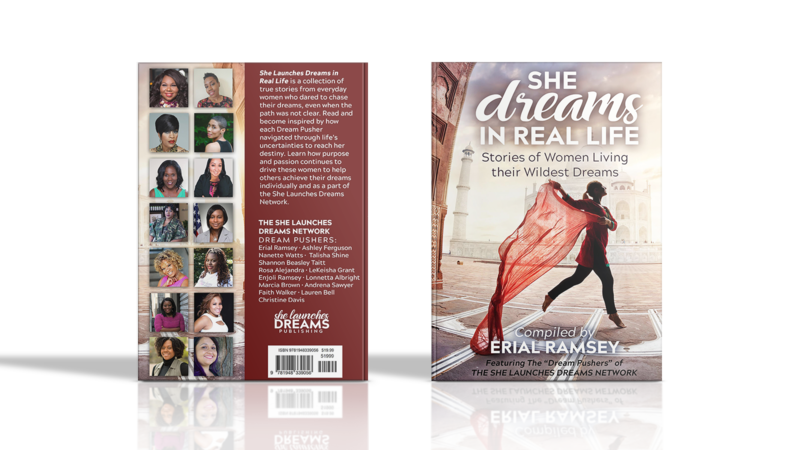 She Launches Dreams in Real Life is a collection of true stories from everyday women who dared to chase their dreams, even when the path was not clear. Read and become inspired by how each Dream Pusher navigated through life’s uncertainties to reach her destiny. Learn how purpose and passion continues to drive these women to help others achieve their dreams individually and as a part of the She Launches Dreams Network.